Have lovely jewelry and nowhere to store it? There you go! 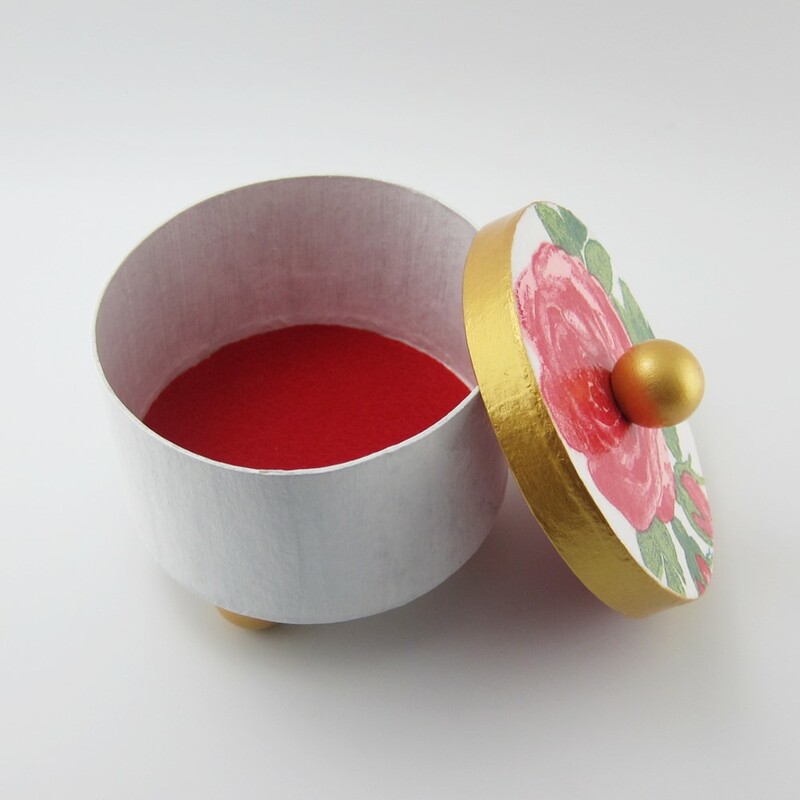 This box is easy to make, very inexpensive in terms of materials, and looks groovy. 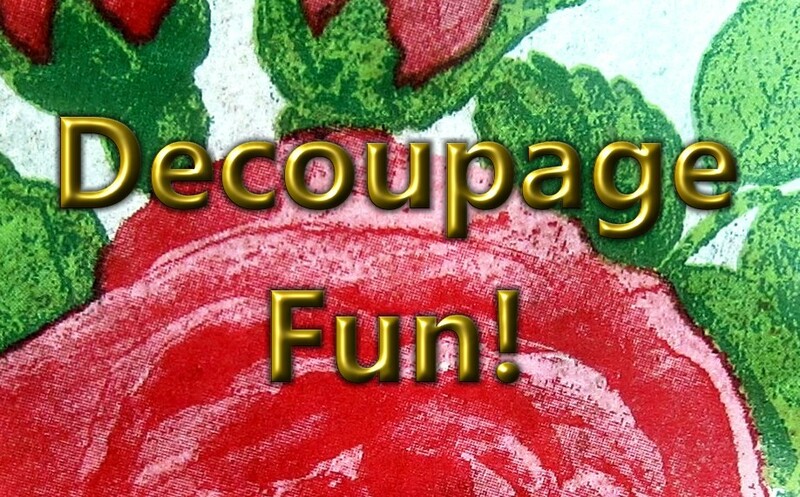 So, if you like vintage style things, get your napkins ready – and let’s decoupage! For this tutorial, I haven’t been taking step pictures. However, if you follow the steps below, you should be able to make your box without much trouble. Step 1. Mark positions for the box legs and handle with a pencil. For this, you will need to find center of a circle, as well as separate a random circle into 3 equal parts. Just follow these simple instructions (click on pictures to enlarge them). Step 2. 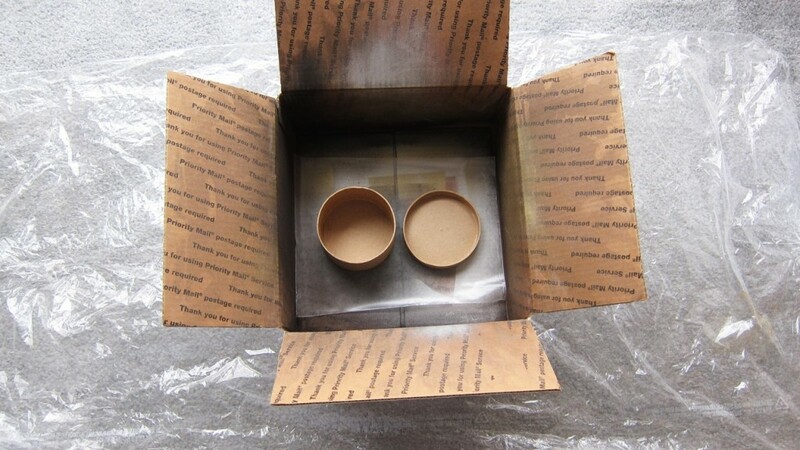 Pierce holes for legs and handle with a needle tool or drill them if you are using a wooden box. Step 3. If necessary, drill holes in the wooden balls, halfway into the ball. I actually didn’t need to do that, as the balls, which were sold as “doll heads” (speaking of weird things :D) were already predrilled. Step 4. Paint balls with gold paint. Apply 2 layers of paint. I put balls on paintbrush handles of an appropriate diameter for easy painting and drying. Let each layer of paint dry thoroughly. Step 5. Apply 2 layers of gloss acrylic varnish to the painted balls. Let each layer dry thoroughly. Step 6. 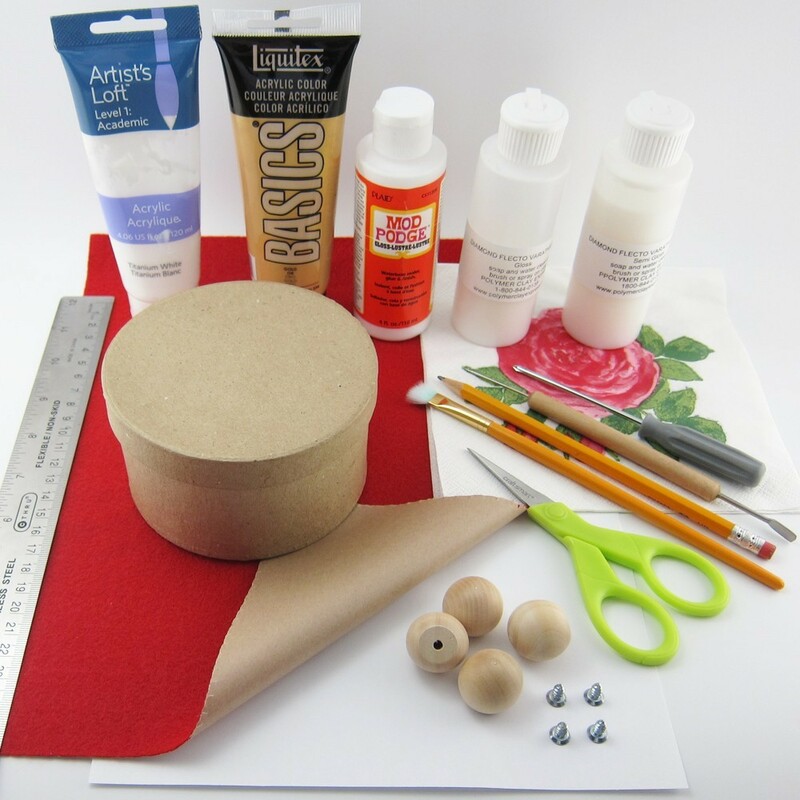 Using box lid as a template, draw 2 circles on the back of self-adhesive craft felt and cut them out with your scissors. Step 7. 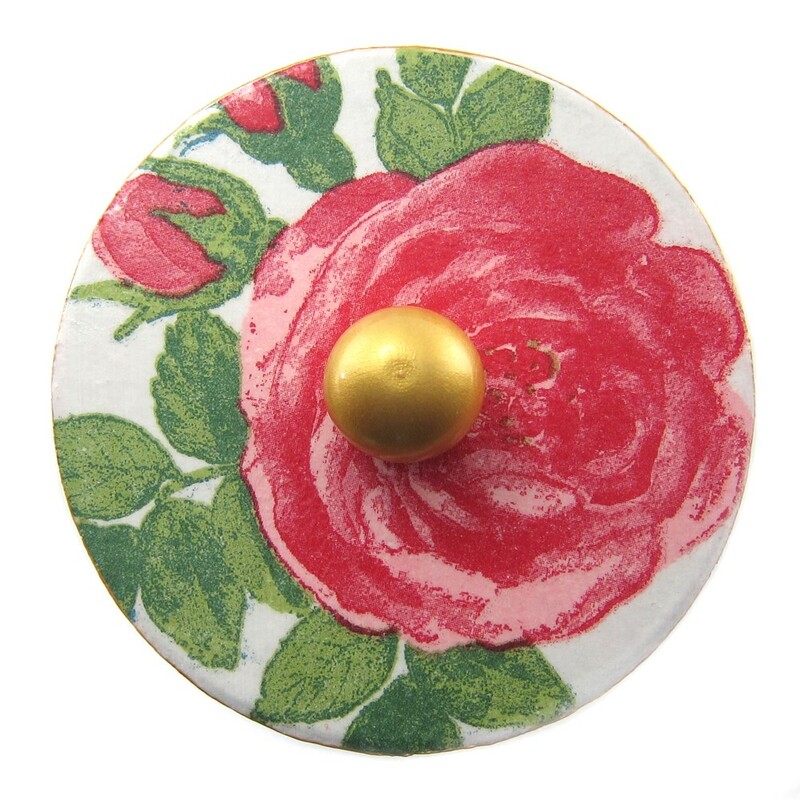 Using box lid, trace a circle on a pretty napkin, picking a part of its ornament you want to see on your box lid. Cut the circle out and separate the napkin’s layers. Some napkins have 2 and some – 3 very thin layers. You want only the top one with the print. This layer should be so thin that the white in it would be almost transparent – see the picture. Lay the circle on the lid and see if you like it. Trim to size if necessary. Take a big piece of plastic and lay it down. I use these in which my clothes come from a dry cleaner. Then take an old shipping box and make sure the bottom is securely taped. Tear a piece of cooking parchment paper and lay it in the box. Use a fresh piece of paper with every new paint job to avoid sticking and color contamination. Your gizmo is ready! Step 9. Apply a layer of gloss Mod Podge to the top of the lid and let dry. Do not thin Mod Podge for this application. Apply a second layer and let dry for 5-10 seconds. 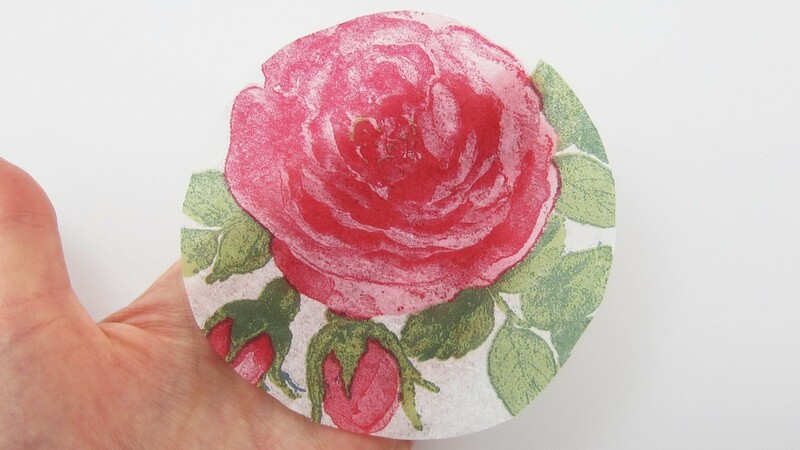 Then lay your napkin circle on top of Mod Podge and start pressing it in starting from one edge. Be very careful when doing this, so you don’t tear a very thin napkin layer. Doing it this way will allow you to avoid most of the wrinkles. You can’t imagine how many pretty napkins I have wasted before I came up with this. Well, maybe you can :). Check adhesion, adding some more Mod Podge where the napkin didn’t adhere and let dry completely. When it has dried, apply a layer of Mod Podge over the napkin with a soft brush and let dry again. Step 10. 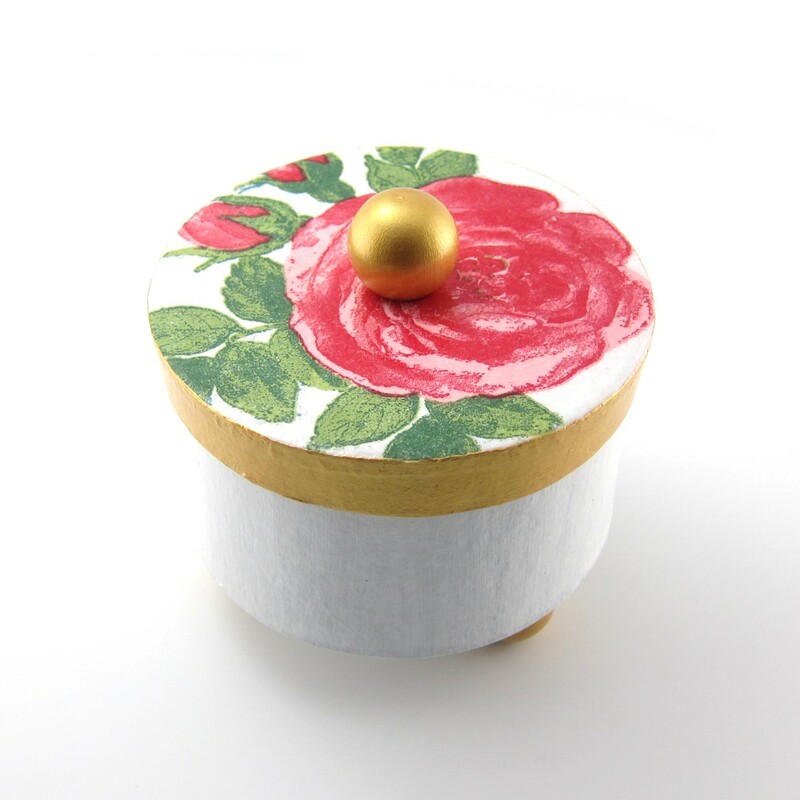 Paint rim of the lid with gold acrylic paint. Apply 2 layers of paint, letting each of them dry thoroughly. Step 11. Apply 2 layers of gloss acrylic varnish to the painted rim. Let each layer dry thoroughly. Step 12. Cover the rest of the box and lid with 2 layers of semi-gloss varnish. Let each layer dry. Step 13. After box and lid have dried, insert wood screws into the holes you made earlier. Using a screwdriver, screw them into painted wooden balls, to be box legs and handle. If you wish, you can use smaller balls for the legs. Step 14. 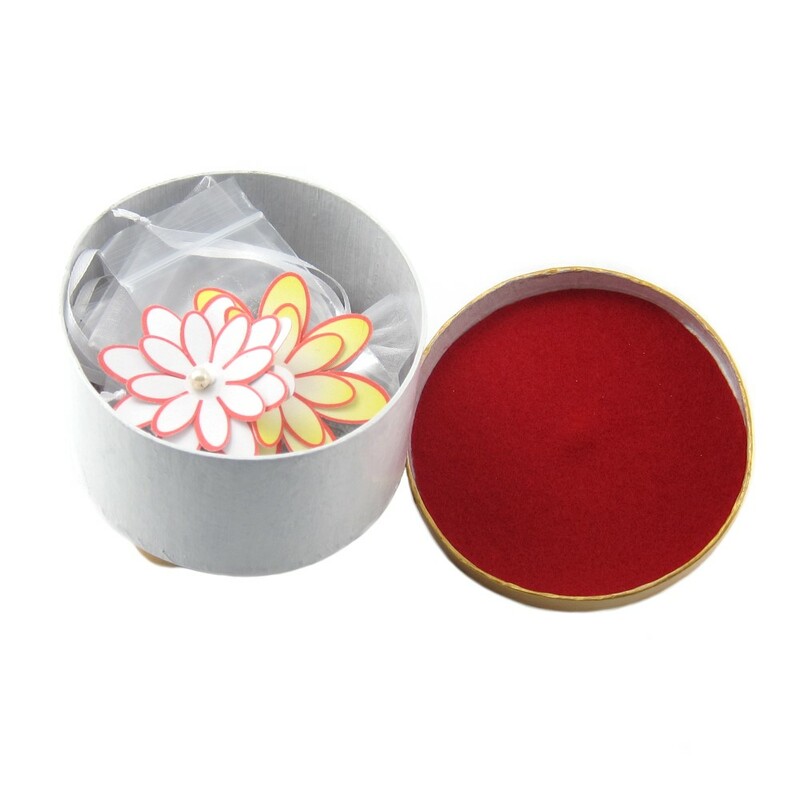 Insert self-adhesive felt circles into the lid and bottom of the box and check the fit. Trim to size with your scissors if necessary. Starting from one end, peel off backing paper and press felt in. After you are done, go over the entire circles, checking adhesion, especially on the edges. Felt will not only create a nice padding for your jewelry but also hide the screws holding the legs and the handle. Step 15. 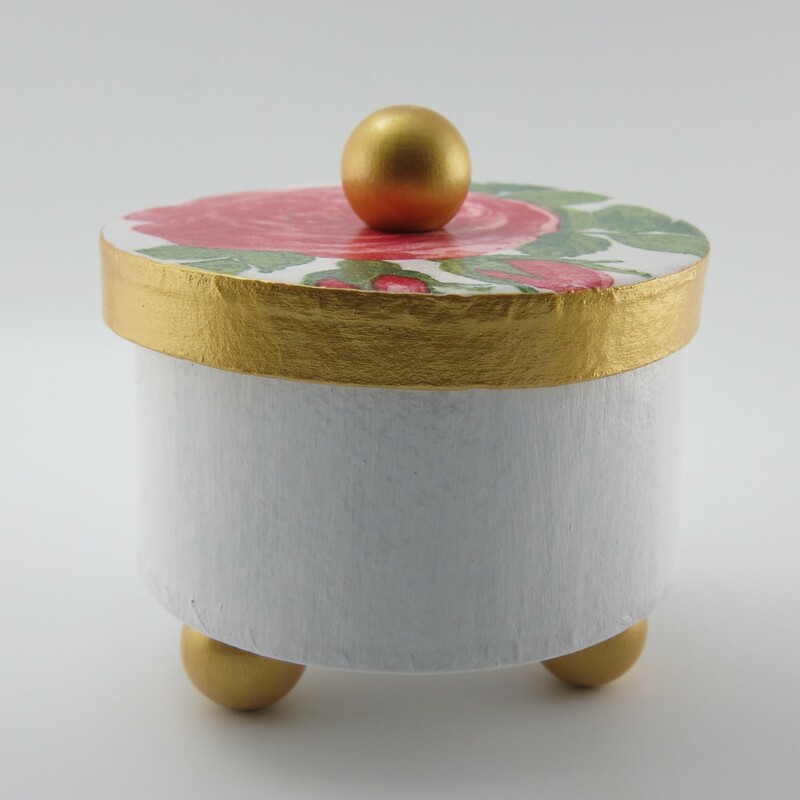 Put some nice jewelry into your new box, set it on your dresser/vanity/table and enjoy having such a lovely handmade box! Please subscribe, so you won’t miss any fun! My gf liked this very much. We are voting for your design on Mejuri. Besos! Thanks so much!!! ♥ If she makes one, send a pic, OK? I love this design. I also love the one from your Facebook at the Mejuri contest.